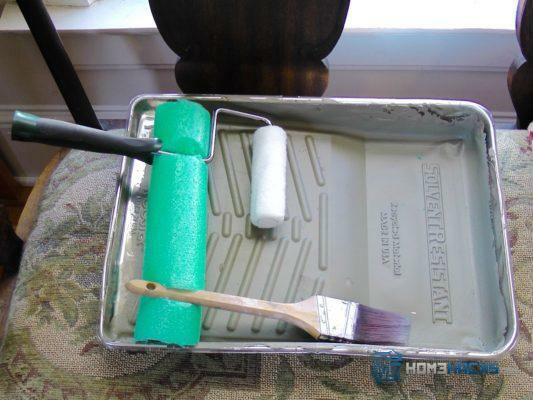 Make a pool noodle paint brush holder in order to secure rollers and brushes when painting. Painting can be a messy business, if you are not careful. In order to cut down on unruly paint splatter, cut a pool noodle to the size of your paint tray. Then use scissors to cut several slits halfway through the upside of pool noodle.